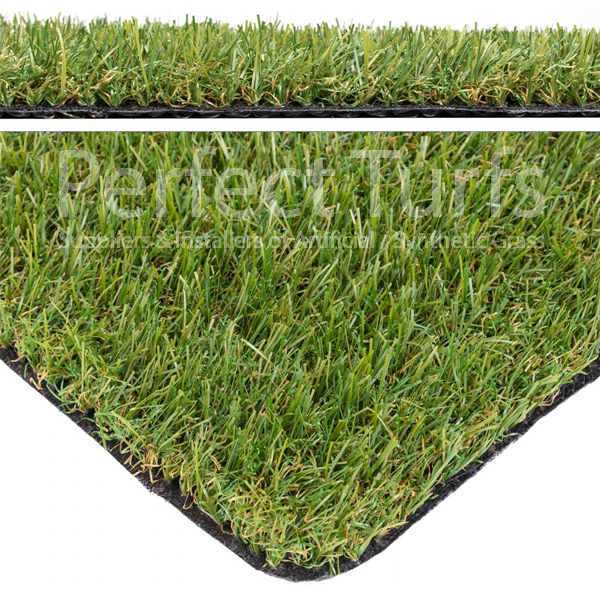 Perfect Turfs Augusta 25mm is a excellent range of grass and is suitable for all locations. It is a natural shade of green and has a combination of 2 light dark green and olive green with a natural beige thatch curl. High in density so really hard wearing and will stand up all year round. Manufactured in Holland to the highest of standards and comes with the standard 12 months manufacturers warranty if any defaults may arise after installation.